Stanglers Soo Line Dairy Dispersal Auction in Albany, Minnesota by Mid American Auction Inc. NOTE: The Stangler family has farmed on this farm since 1949 with Allen, Jeanne and their family operating the farm the past 40 years. Now as a transition into retirement, they have decided to discontinue the dairy portion of their farming operation. 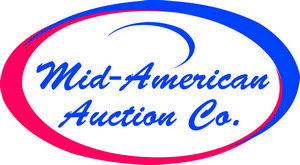 Mid-American Auction Co. is very pleased to be selected to conduct Allen and Jeanne’s dairy cattle & related equipment auction. Please note that livestock equipment will sell first, followed by farm machinery, then dairy equipment, followed by dairy cattle selling under cover. Prior inspection welcome by appointment beginning Wednesday, August 15th. Trucking available. Thank you! NOTE: This is a very good herd of young, well uddered, high producing Holstein cattle. According to records of milk sold, the herd average is approximately 25,000 pounds milk, 3.5 to 3.8% butterfat and 3.2% protein. Although the Stanglers are not on official testing, a milk weight along with individual SCC and fat information will be available sale day. This herd is timed perfectly for prospective buyers with over 50% of the herd in their first and second lactation, and with 50% fresh in the past 60 days with many producing over 100 pounds per day. The Stanglers have received quality milk awards for over 10 consecutive years with current SCC averaging under 100,000. Excellent herd health program, all eligible females are Bangs vaccinated. Hooves trimmed regularly. Cows are milked in a tie-stall facility and let out daily winter and summer. The Stanglers have used registered herd sires from the Goebel Brothers Dairy at Albany for many years. All cows are in service to a very good herd sire from the Goebels. He is sired by Goebel Dairy George. He was a Shottle out of an EX 91 pt. Titanic. This bulls dam is at: 3-11, 365 D, 36,950, 4.0 1462 & 2.9 1065. His second dam made nearly 31,000 pounds and over 1200 pounds fat as a first calf heifer. Along with a very good set of cows, we offer an excellent group of springing, bred and open heifers. If you are in need of very good, home-raised, farm fresh dairy replacements, please mark this date on your calendar and make plans now to attend the Stangler dairy dispersal. Sale held under cover, trucking available. (70) Fancy, Young, Well Uddered Holstein Cows, 50% 1st & 2nd Lactation, 50% fresh in the past 60 Days, with Several due Soon After Sale Time. Located by exiting Interstate 94 at the Albany, MN exit (Exit #147), then 1.5 miles south, west and south on County Tar #10, then 2.1 miles west on County #174, then ½ mile north on 255th Ave. to Farm #34553. Follow the Mid-American Auction Co. signs; roads will be plainly marked.